Arriving at the Cancun airport is quite an experience. While it is nothing difficult or scary, it is something you should be prepared for. With a little knowledge and preparation, the whole experience will go faster and you will be on the beach quicker. Cancun’s airport is quite large. There are now four terminals. They are numbered 1, 2, 3 & 4. Terminal 4 just opened in late 2017, so if you booked your flight a long time ago, your terminal may have changed. You will likely land at Terminal 3 or 4 depending on what airline you fly. If you come on a charter or a domestic flight, you may land at terminal 2. Terminal 1 is rarely used by the flying public. Terminal 4 airlines include: Aero Mexico, Air Europa, Air France, Air Transat, Alaska Airlines, Condor, Frontier, Interjet, Lufthansa, Novair, Premiair, Southwest, Sun Country, Thomas Cook, Transaero, Virgin America, Virgin Atlantic, & WestJet. Terminal 3 airlines include: Air Canada, American Airlines, British Airways, Delta, Evelop, Eurowings, JetBlue, Spirit, United Airlines & Wamos. 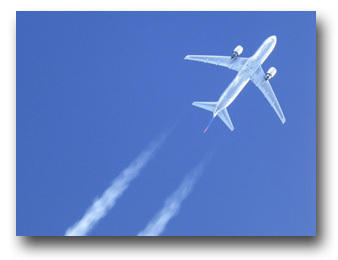 The above information is subject to change, so be sure to check your air info carefully. On the plane they should give you two forms to fill in. (Did you pack a pen?) One is your tourist card, very important. It is in two parts, fill it in completely and sign it. They will take the top part and give you the bottom part. Hold onto this form! You will need it to leave the country. (Click the image to the left for a closer look at the form.) 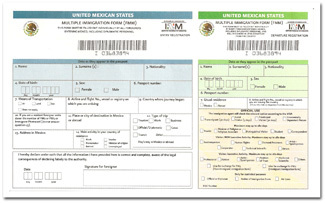 The other is a customs form. Very simple to fill out. Fill it out on the plane and it will save you time! You will likely have a ramp connect to the plane and you will be dumped into the same part of the terminal where they handle departures. Tourists will be everywhere. The people flying out can be identified by their fried skin, bloated livers and “Hard Rock” T-shirts. Ignore them and look for Immigration. At Terminal 3, it is down one floor, there are signs for it all over. Immigration is the “wild card” in the whole airport experience. You can be here for 30 seconds or stuck for hours. Often tourists make the situation more difficult by lining up in only one line, leaving dozens of inspectors with nothing to do. Have a good look at the situation and try to pick a good line, working your way to the right often works well. The Immigration inspector will stamp your tourist card and hand you the bottom half. Say “buenos dias” and “gracias” and he will smile and welcome you to Mexico. Also, look around the carousels for your bag. The carousels are not big enough and bags often fall off or are put aside if they have made the trip around a few too many times. Gather your bags and go through customs. This is one of the more bizarre procedures you will come across. There is a traffic light with a green and red light. You will be asked to press the button. If you get a red light, they will briefly search your bags. If you get a green light, you will sail right through. Note, only one per family needs to press the button. They may x-ray your bags at this point too. This is also where you hand off that little customs form they made you fill out on the plane. They are said to be phasing out the red light/green light system in Mexico, and they have disposed of it in Terminal 4, but you may still run into it in the other terminals. Okay, you made it into the country with yo urselves and luggage intact. Now, how are you getting to Puerto Morelos? Most of the tourists you flew with will be herded onto large buses and hauled off to their all-inclusives. You are probably handling your own transport. You have several choices. They range greatly in price. Driving time to Puerto Morelos is just 15-20 minutes. Rent a Car: If you are getting a car for a week or more, book it at least a week out and get it at the airport. All the big companies are represented at the airport. We usually book our cars on Travelocity or Expedia (use the Canadian versions (.ca) if you are from Canada) and go with the cheapest option. Remember that the price will almost double when you add insurance. Most credit card insurance does not cover Mexico, and in any case, you want to make sure you have a 1-800 number that works in Mexico that you can call if you get in trouble or an accident. 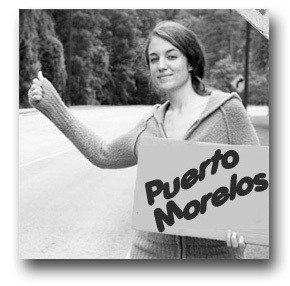 Renting a car for a day or two can be done in Puerto Morelos. Book a Private Transport: There are a bunch of companies that do this. We like Jin from Abbey del Sol. You can book him here: http://www.abbeydelsol.com/transportation/ A driver will be waiting outside the doors with a sign with your name on it. It’s seamless. Jin will also stop at a grocery store if you wish for a small extra fee. For the ride back to the airport, the rates drop. You can grab a taxi in town for $350 pesos. Book at the kiosk, wave one down or contact us for the info of a driver. Taxi: Book a taxi at one of the booths on the way out of the airport. Cost is about $70 US per taxi, up to 4 persons. It will cost about $25 when you go back to the airport from Puerto Morelos. The driver will be from Cancun and will likely not know anything about Puerto Morelos, so make sure you have directions to where you are staying. Please note that Uber or other ride-sharing companies do not operate in our state. Public Transport: Book it at the booth on the way out of the airport. Cost is about $20 US per person to Puerto Morelos. Two companies, Grey Line or Greenline. Booths near the exit. They will wait until they have at least four persons before they will make the trip. The driver will be from Cancun and will likely not know anything about Puerto Morelos, so make sure you have directions to where you are staying. Bus: The cheapest option is the ADO bus which goes down to Playa del Carmen about every 30 to 45 minutes during the day. They stop at Puerto Morelos up at the highway. You will need to catch a local taxi to your accommodations. Cost is $110 pesos per person. The bus is available at all terminals. Look for an ADO bus booth or look for the big, modern red and grey ADO buses. You can buy your ticket right at the bus or at the booth. If you want to use a credit card, you need to buy at the booth. For the most up to date schedule, check out their website https://www.ado.com.mx/ From the highway it is a short taxi ride ($30 pesos) or collectivo ride ($8 pesos) to the town square or a little more to where you are staying. Walk: Not an option. The airport is way out on its own. Note: Try to arrange your transport before you leave the airport. As soon as you step outside, you will be deluged with offers of transport and help with your bags. Official bag helpers wear blue shirts with logos on them. Unofficial guys will carry your bag anywhere for a tip, though likely they will try to take you to their friend’s transport company. Outside the airport is like running a gauntlet. Keep a firm grip on your bags (unless you want help) and get clear of the chaos. There are bars located to the left and right as you exit if you would like to get an early start on the fiesta. If someone is meeting you at the airport, in Terminal 3, take a left AFTER you exit the airport. There is an official “meeting place” sign and a bar right there. They are most likely waiting for you right there. At Terminal 4, there is a special “Friends and Family” door to exit. Make sure you know where you are going before you exit the terminal, they won’t let you back in. Other tips: The temperature change for you, especially if you are coming from a northern climate, is going to be shocking. This is where zip-off pants are priceless. Time share guys are omnipresent at the airport. They will offer a ride to a resort for a 90 minute presentation and a whole pile of gifts. Know what you are getting yourself into. You may not be up to such an adventure after flying all day.